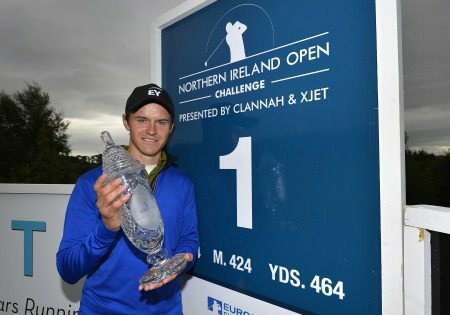 Mick McGeady showed his class, and holed some putts, on the opening day of the Northern Ireland Open Challenge presented by Clannah and XJET. Picture ©Getty ImagesAs Rory McIlroy edges closer to rediscovering his unbeatable form of 12 months ago with the consolation of a gargantuan bank balance, several of Ireland’s stars in waiting got off to solid starts in the Northern Ireland Open Challenge. 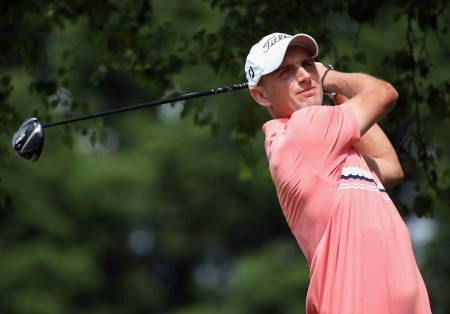 Derry’s Mick McGeady leads the 27-strong Irish contingent at Galgorm Castle, a fine six under par 65 leaving him in a five-strong group, just a shot behind Germany’s Bernd Ritthammer and Englishman James Ruth. But there was an equally compelling performance by 20-year old Ballymena amateur Dermot McElroy, who will go to Stage One of next month’s European Tour Qualifying School, as he fired six birdies in a four under 67 to share 15th, just three shots off the pace alongside the ever-improving Dubliner Neil O Briain (67). McElroy was a stand-out peformer for Ireland in the recent Home Internationals, winning all six of his matches, but missed out on Walker Cup selection, captain Nigel Edwards said, because he has lacked consistency over the last two years. Capable of shooting wildly differing rounds on the same day and oftern erratic with the putter, McElroy is nevertheless one of the most impressive Irish amateurs around. A cool, calm and collected type who is not easily flustered as he showed in last year’s Irish Open at Royal Portrush, where he only missed the two under par cut by a stroke. Dermot McElroy has talent in spades. Picture by Pat CashmanBut while McElroy was again impressive on a course he knows well and tournament ambassador Michael Hoey carded a one under 70, it was McGeady who stole a march on his countrymen on day one, putting together nine birdies, six pars and three bogeys to charge into contention. “I played solidly and hit it well today,” said the 35 year old. “I’ve been threatening to putt very well and today I seemed to hole a few, so, yeah, it was nice. “I always seem to play well around here. It suits my eye. I’ve been coming up here since I was young, playing senior cups and that sort of thing. I know the course well, it’s playing difficult so I’m just happy to get a score on the board. Just 10 of the 27 Irish contingent broke par with former Walker Cup players Alan Dunbar and Jonny Caldwell matching the in-form Galgorm Castle touring professional Gareth Shaw with three under 68s. Experienced campaigners Niall Kearney and Colm Moriarty - another pair of former Walker Cup players - shot two under 69s with Hoey just inside the top 60 who make the cut alongside Rosapenna’s Ruaidhri McGee, who challenge for victory on the Europro Tour last week. Mourne amateur Reeve Whitson, who plans to go to Q-School next month, got off to a nightmare start when he double bogeyed his first hole and bogeyed the second. But he fought back well, finishing with three successive birdies for a level par 71 that left him tied for 70th with Ballymena’s Chris Devlin. 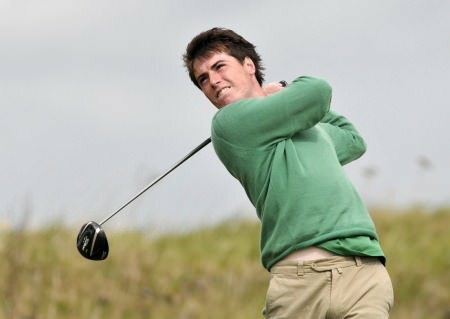 Probably the most disappointed man was County Louth’s Simon Ward, who is making his professional debut after saying goodbye to the amateur ranks with victory in the South of Ireland Championship at Lahinch just a few weeks ago.